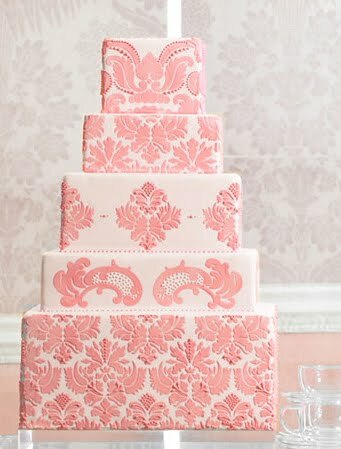 Classic and elegant five square tiers wedding cake with gorgeous damask patterns in pastel pink. Three tier round wedding cake with pink damask pattern over light purple icing and some delicate pastel purple and pink flowers. 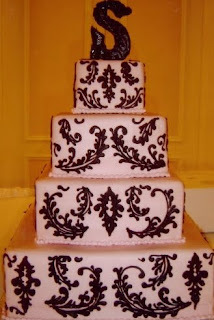 Light pink wedding cake with damask pattern in dark chocolate over four square tiers. 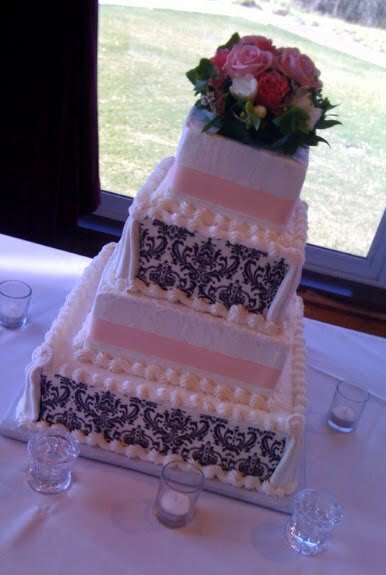 White cake with pale pink ribbon, pink roses and black and white damask pattern. 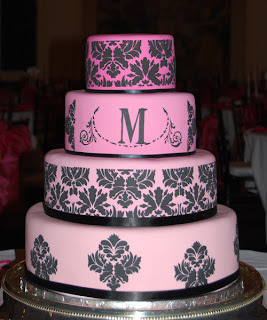 Pink round four tier wedding cake with black damask pattern. Three tier round pink wedding cake with white damask pattern and white ribbon at the base of each tier. 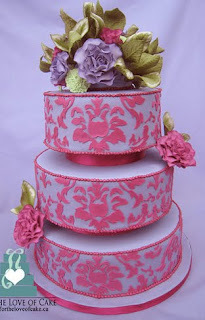 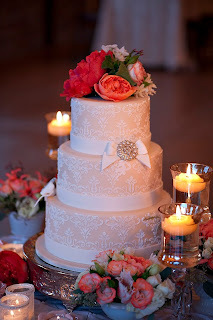 Beautiful fresh roses of varying hues are used as a cake topper for a truly stunning pink damask wedding cake.